Art. 1. - (1) This Act shall set forth the general rules and terms for operation in the electronic communications field of the Republic of Moldova, the general policy and strategy framework for the sector development, by defining powers of the central sectoral authority, the general regulatory framework applicable to activities related to electronic communications networks and services, by defining the powers and objectives of the regulatory authority, the rights and obligations of the State, of natural and legal persons in the process of establishment, management and use of electronic communications networks, in order to provide the population with good quality, modern and useful electronic communications services, at reasonable prices, as well as to ensure free access to public electronic communications services. (3) This Act shall not be applicable to special communications networks. The deployment and operation of such networks shall be regulated by the Government. (4) This Act shall not regulate the information content conveyed via electronic communications networks, except the information identifying the final user. g) access to virtual network services. c) imposition of any commercial, technical or other conditions, not necessary for the provision of the requested type of access. Interconnection of networks means the physical and logical linking of public electronic communications networks used by the same provider or different providers in order to allow the users of one provider to communicate with the users of the same or another provider, or to access the services of a third provider. Relevant market means a market of electronic communications products and/or services, the nature of which can justify imposition of specific obligations by law. Public telephone service means a service made available to the public by an electronic communications service provider, which allows originating or receiving national, long-distance and international calls, including via IP protocol, access to emergency services through a number/numbers from the National numbering plan or an international one. Terrestrial digital television means a television system in which the direct conversion of image and sound into digital signals (sequence of signals representing one and zero) and the reverse conversion of digital signals into image and sound occurs within light-to-signal transducers (upon emission) and signal-to-light (upon reception) in the VHF and UHF radio frequency bands. Art. 3. - (1) The access of any natural and legal person to public electronic communications services shall be guaranteed on the entire territory of the Republic of Moldova, under conditions of non-discrimination. (2) Electronic communication networks shall belong to legal persons having the right of private or public ownership. (3) Channels, radio frequencies and numbering resources are limited resources and are state property. (3) The top-level domain .md within the Internet shall be deemed as the state property and may not be subject to sale or lease. (4) Registration, re-registration and sale of sub-domains in the top-level domain .md shall be performed pursuant to the Regulation on Domain Name Administration in the Top-level domain .md, approved by the regulatory authority. Art. 4. - (1) Provision of electronic communications networks and/or services shall be accessible for any natural or legal person under the terms, conditions and obligations set by this Act. (2) Restrictions may be admitted only in situations related to state security, defence, security and public health. No special or exclusive rights regarding creation or provision of electronic communications networks or services shall be granted or maintained. Art. 5. - (1) The confidentiality of telephone calls or other electronic communications services, made/provided via electronic communications networks shall be guaranteed by Constitution of the Republic of Moldova, this Act and other legal acts . (2) Personnel employed in the electronic communications field shall ensure the confidentiality specified in section (1), being prohibited from disclosing content of telephone calls and other communications, made via electronic communications networks, as well as information regarding the services provided to persons other than the sender or addressee. (3) Unauthorized connection to electronic communications networks shall be prohibited. (5) This Act shall acknowledge and guarantee inviolability of electronic communications services, and electronic communications networks, legally used on basis of adequate licenses and authorizations. Persons guilty of unauthorized access, larceny, damage or disruption of electronic communications networks, of manufacturing, marketing and making available technical means intended for unauthorized access to another person shall integrally repair the damages caused. (6) The use of limited resources (channels, radio frequencies and numbering resources) unassigned by the Agency shall be prohibited. (7) In order to ensure national security and defence, public safety, and in cases of prevention, investigation, detection and suit of serious and exceptionally serious offences, electronic communications may be intercepted, under the law, by entities authorized by law to do so, only on basis of a mandate issued by the investigating judge. Art. 6. - (1) Relations in electronic communications, unregulated by this Act, shall be regulated by other enactments that are consistent with it. (2) International relations in electronic communications shall be regulated by international conventions and agreements, to which Moldova is a party. Where international conventions and agreements contain other provisions than those stipulated in the Moldovan legislation, the provisions of international conventions and agreements shall be applied. Art. 7. – (1) The authority entitled to develop, promote and implement the Government policy in the field of electronic communications and to determine the sector development strategy shall be the Ministry of Information Development, created in compliance with the legislation, hereinafter called the central sectoral authority. f) protection of end-users interests. j) supervise certification of electronic communications products and services. Art. 8. - (1) The authority empowered to regulate the activity in the field of electronic communications and information technology, to ensure the implementation of development strategies of the sector and to supervise compliance of electronic communications networks and/or service providers with the sectoral legislation shall be the National Regulatory Agency for Electronic Communications and Information Technology. (2) The Agency is a central public regulatory authority meant to regulate the electronic communications and information technology service market, being founded in compliance with this Act, operating in compliance with the legislation in force, under the status of a legal person with an independent budget, being independent of network and/or service providers, electronic communications equipment manufacturers and the Government, (except otherwise stipulated in section (7) of this Article, Art.9 (1) d) and Art.11 (3)). (3) The Agency shall perform its regulatory duties with the view of implementing the strategy of electronic communications development, to ensure universal service provision, interconnection and interoperability of electronic communications networks and services, competition promotion and user protection. b) observing the principle of non-discrimination in treating electronic communications networks and service providers. f) guaranteeing access of all citizens of the Republic of Moldova to universal service. (7) The Agency shall perform its duties and powers based on its Regulations, drawn up in compliance with this Act and approved by the Government. (8) All measures taken by the Agency shall be proportionate to the objectives specified in this Article. (9) In order to fulfil the regulatory tasks set out in this Act, especially the tasks intended to provide efficient competition, the Agency shall ensure neutrality of its regulations in terms of applied technologies. w) developing and approving internal regulations. (2) For the purpose of complying with the provisions of this Act, the Agency shall cooperate with the competition authority, in particular in terms of mutual provision of information necessary for enforcement of both competition protection and electronic communications legislation, with the central sectoral authority, other agencies and authorities. The collaboration between the Agency and the competition authority shall be based on differentiation of functions and powers, as prescribed by law. i) exercise control over the quality of electronic communications services, compliance with general authorisation conditions, with the enactments governing activity in electronic communications, except the control as provided in Art. 7 (3) i). (3) In order to exert planned and unplanned control, the Agency specialists shall be authorised by means of warrants, signed by the Agency Director or one of the Deputy Directors. During the control, the Agency specialists shall have free access to premises and territory of electronic communications networks and/or service providers, as well as to their documents and information, and shall have the right to take actions to ensure safe keeping of such documents and information, as established by law. (4) If necessary, the law enforcement bodies shall provide the required assistance to the Agency's employees in exercising their powers. (5) The Agency shall take part in the activities of international sectoral and regulatory organisations; shall cooperate with and be represented in international electronic communications organisations and institutions, collaborate with similar authorities in other states, including by signing bilateral agreements of cooperation and exchange of experience and information pertaining to electronic communications. Art. 11. - (1) The Agency is managed by an Administrative Board, consisting of the Chairman of the Board, represented by the Agency Director, hereinafter referred to as the Director, and two Board members - Deputy Directors, hereinafter referred to as Deputy Directors. (2) The Board decisions shall be adopted by the majority of votes. Every Board member has one vote. (3) The Director and Deputy Directors are appointed by the Government for four years. (4) If there is a vacancy in the Agency Director or Deputy Director position, due to different reasons, the Government shall appoint, in one month term, a new Director or Deputy Director. None of the Board members may stay in term of office for more than 8 years. (5) The Agency Director, Deputy Directors and staff shall be citizens of the Republic of Moldova, have university degree, high professional qualification and experience in the field of electronic communications..
g) other situations, as established by law. (7) The Agency Director shall employ staff with the consent of at least one Deputy Director. (8) The Director or Deputy Directors shall not have the right to hold high-level positions, shares and/or social parts, have material or financial gains or interfere in the employment of a person or negotiate their own employment after their term of office expiry with enterprises, the activity of which is regulated by the Agency. (9) Every year by April 30, the Agency shall publish an annual report on its activity regarding the implementation of the electronic communications development strategy and enforcement of its regulations, as well as a statistical yearbook on the electronic communications development in the Republic of Moldova in the previous year. c) other sources, as provided by the law. (2) The Agency budget shall be approved by the Administrative Board within the limits necessary to ensure its adequate activity and financial independence. The administration of the budget shall be verified by an independent audit, whose report shall be presented to the Government. (3) The Agency shall establish the amount of regulatory and monitoring fees for the following year sufficient to cover the expenses necessary in order to conduct its activity pursuant to this Act. The amount of regulatory and monitoring fees shall be established on basis of estimation of revenues, generated by activities in electronic communications, up to 0,3% of the estimated revenue. (4) On yearly basis, by November 1, the Agency shall publish in the Official Gazette of the Republic of Moldova the amount of regulatory and monitoring contributions for the following year. (5) The regulatory and monitoring fees shall be transferred by electronic communications networks and/or service providers to the Agency’s current bank account, on quarterly or annual basis, by the 15th day of the month following the accounting quarter/year. The Agency shall have the exclusive right to use the funds from its account. Funds unused during the current financial year shall be carried over to the next year budget. In case of a budget deficit during the current financial year, the Agency shall be entitled to offset it from the next year budget, adjusting respective regulatory and monitoring fees. To support the current expenses, which cannot be covered from the collected regulatory and monitoring fees, the Agency shall be entitled to contract bank loans at reasonable interest rates. The Agency shall reimburse such loans from subsequent regulatory and monitoring fees. (6) On yearly basis, by March 1, the Agency shall submit to the Government an financial report, which shall be published in the central press. (2) The users shall have the right to request that the Agency support them in solving the problems falling under its jurisdiction. The Agency shall consider such claims and settle them within the limit of its competence. b) notifying in due time all the interested parties about agendas of the Administrative Board session, providing free access for both interested parties and public at large to the examination of issues included in the agenda, except for confidential matters, but even in this case the adopted decisions shall be available to any interested person. c) in case if the Administrative Board intends to approve decisions deemed to have an impact on relevant markets and public service provision, the Agency shall be bound to observe the consultation procedure, publishing the draft decision on its web site and, upon the request of the interested parties’, shall e-mail this decision to them, thus giving them the possibility to comment on the draft decision before the deadline provided for consultations – at least 30 calendar days, including a 15 calendar day period for submitting comments and proposals and another 15 calendar days - for discussions. Public consultations shall comprise both submitting comments on draft decisions and discussions on such comments with the parties involved. Consultation proceedings shall be inherent to the examination of any matters affecting or expected to affect the interests of any provider. (2) All persons who have requested to have their e-mail address registered in a special mail list compiled by the Agency, shall be informed about the due date of consultation proceedings at latest on the date the document is published. (3) Should the Administrative Board deem it urgently necessary to take actions in order to protect competition or users’ interests, the consultation proceeding period may be shorter than 30 days, but not shorter than 10 days. (4) The Agency shall make publicly available the consultation results, including the reasons for rejecting the objections and/or proposals submitted by the concerned parties, except for confidential information. (5) Where the electronic communications network and/or service providers cannot amiably settle disputes, the Agency shall examine them to the extent they fall under its competence, and, at the request of either party, shall issue a binding dispute-solving decision. Any obligations the Agency imposes on a party with the purpose of solving a dispute shall be in compliance with the provisions of this Act. The Agency shall issue the decision within a month of the date of notification. This period may be extended by one more month at most, and the parties involved shall be informed about this extension. (6) Within three days from the date the dispute-solving decision was adopted, the Agency shall notify it to the parties concerned to be implemented, providing the reasons for such a decision. (7) The Agency decisions and regulations can be appealed to the competent court. (8) The Agency decisions of public interest, as well as the list of issued licenses shall be published in the Official Gazette of the Republic of Moldova. Art. 15. - (1) Electronic communications networks are established in order to provide electronic communications services, to meet private and public needs in this field by means of technical systems which shall comply with specific quality standards. (2) When building administrative premises, residential buildings and other objects, the interior electronic communications distribution networks shall be designed and installed by the real estate owner. (3) When constructing (reconstructing) buildings, roads, bridges and other objects, any works of installation, replacing or removal of any network elements shall be performed by the real estate owners, with the preliminary consent of the owner of electronic communications networks. Art. 16. - (1) Electronic communications equipment and cables shall be imported, supplied and sold only based on conformity certificates issued by the certification authority, accredited as appropriate to certify electronic communications products. All electronic communications equipment and cables shall be marked in accordance with the applicable regulations. (2) It shall be prohibited to use non-certified electronic communications equipment and cables, as well as to connect non-certified and unmarked terminal equipment to electronic communications networks. Art. 17. - (1) Electronic communications networks shall be protected under the law. (2) A protective zone shall be set for cable lines, support devices of electronic communications lines and installations, consisting of land strips along such lines and installations, 2 meters wide from both sides. (3) In forest and green areas, for electronic communications lines suspended on masts, borderlines strips shall be allowed, 2 meters wide between marginal wires and tree crowns, from both sides. (4) In the protective zone of electronic communications cable lines, support elements of such lines and installations, land owners or other persons may conduct construction work, earthwork, planting perennials or other work that may damage electronic communication networks, only provided that they have an agreement with the owners of electronic communications cable lines, support elements and installations. (5) The construction work, earthwork, planting perennials or other work that may damage electronic communication networks in the protective zone of electronic communications cable lines, support elements of such lines and installations belonging to those networks shall be conducted only with the consent of network administrator. (6) The rules governing electronic communications networks protection and conducting work in protective zones and along such lines shall be approved by the Government. (7) Beneficiaries of terrestrial cable and radio relay lines projects, from the moment such projects have been designed, shall register the tracks of such lines with public local authorities, whose territories are intersected by these lines, in order to protect the latter from damage caused by construction work within their coverage area. Art. 18. - (1) Providers of electronic communications networks, under the conditions of this Act, shall have the right to install electronic communications networks in, on, under or above land properties, bridges, streets, tunnels, buildings, collectors, closed areas, forests, waters, with the written consent of the landowner or a real estate owner . (2) In case of owner’s refusal to give consent, the installation of electronic communications networks shall be allowed only based on a court ruling, provided that there exist no other feasible alternative for network installation. (3) It shall be prohibited to establish and operate electronic communications networks that may damage the health of people living within the areas harmfully impacted by those networks. (4) It shall be allowed to establish and operate electronic communications networks in state-protected natural areas (natural reservations), provided that an ecological expertise report has been issued to confirm lack of dangerous impact upon environment. (5) Installation of electronic communications networks on any property shall not change the ownership right over the electronic communications networks, nor the right on property where such networks are installed. (6) The provider of electronic communications networks or, as the case may be, the contractor performing the work shall decide upon the manner in which the work is executed and the land and real estate are used, by mutual consent and based on the agreement with the land or real estate owner. The right of electronic communications network and/or service providers to have access to their networks shall be observed under this Act by any subsequent owners of land or real estate, where the networks are installed. The company performing the work is responsible for the outer development of territories, building sites, objects and tracks, as well as for equivalent reparation of damages caused while installing electronic communications networks. (7) Claims on breach of agreement or reparation of damages shall be brought to court for examination within no longer than one year from the date the work was finished. (8) When it is necessary to repair breakdowns in electronic communications networks or carry out urgent work, the land or real estate owners shall allow the provider’s representatives to have immediate access to the networks. Should the land or real estate owner deny such access, the providers shall obtain it based on an authorization issued by the local government authorities. Art. 19. – (1) Electronic communications networks and services shall be provided on basis of general authorisations or licenses, depending on circumstances, and as prescribed by this Act. (2) Public telephone service and/or network providers shall be bound to provide networks and/or services in compliance with the corresponding regulations and shall be answerable to customers, in accordance with contractual terms. (3) Electronic communications networks and/or services shall provided under competition as provided by the law. i) cancel or block temporarily, in the absence of consent from the calling subscriber or user, the possibility of hiding the calling line identity, applying transparent procedures in processing location data for every separate line, so that emergency authorities (local police, fire brigade, gas service and medical assistance, or, as the case may be, medical establishments providing assistance at local level, other similar emergency entities) and law enforcement authorities can handle such calls. c) to keep all the information available, generated or processed during the provision of own electronic communications services, necessary for identification and tracking the source of electronic communications, identification of the destination, type, date, time and duration of a communication, identification of the user’s communications equipment or other device used for communication, identification of the location of terminal mobile communication equipment and ensure that any such information is submitted to the authorized bodies, as provided by law. The information related to fixed or mobile telephone services shall be kept for at least one year, while the information related to the Internet – for at least 6 months. The obligation of keeping the information shall also be applicable to failed attempts to make calls. Art. 21. – (1) Electronic communications services shall be provided for a fee, according to established tariffs, including by prepayment. The tariffs shall be non-discriminatory, reasonable and cost-based, giving all the residents of the country the possibility to benefit from electronic communications services. (2) The providers with significant market power on a relevant market shall not have the right to make it conditional upon the beneficiary to purchase some products or other services provided by him or another affiliated provider in return to more favourable terms of electronic communications service provision. Art. 22. – The tariffs, the terms and conditions for provision of public electronic communications services shall be made public. Art.23. – (1) The provision of public electronic communications networks and/or services shall be subject to the general authorisation regime in compliance with the provisions of this Act, without any other decision or administrative act. (2) The provision of special electronic communications networks and/or services exclusively for own needs shall not be subject to general authorisation, as provided by this Act. (3) A natural or legal person, intending to provide electronic communications networks and/or services shall submit a notification to the Agency, thereafter having the right to start operation. The notification shall contain a minimum of information necessary for the Agency to keep the Public Register of electronic communications network and service providers and shall have attached a card containing an abstract description of the network and/or service, which shall be an integral part of the notification. (4) A notification shall be considered accomplished provided that all the requirements regarding the submission procedure, form and content have been met. Where the requirements set in sub-section (3) have not been met, the Agency, within 7 days of the date the notification was submitted, shall require, in written form, that the person fulfil those requirements. c) by an electronic document, with an authentic digital signature, based on an public key certificate, non-suspended and non-withdrawn at that moment. (6) The following dates shall be considered as submission dates: the date entered in the general register of the Agency for incoming mail, the date of confirmation of registered mail receipt or the date the electronic document was received by e-mail. (7) The Agency, within 7 days from the date of notification about launch of activity in electronic communications, shall issue an informative model declaration to confirm the submission of the notification by the natural or legal person, its registration with the Public Register of Electronic Communications Network and Service Providers, as well as the conditions of the general authorisation, specifying the rights regarding networks or service provision, including the rights to install equipment, negotiate interconnection, obtain access or interconnection in order to facilitate exercising these rights in relation to public administration authorities of all levels or in relation to other networks and/or service providers and the corresponding obligations of the provider. (8) Any modification of the data contained in the initial notification shall be notified to the Agency within 10 days. (9) The providers of electronic communications networks and/or service providers intending to close activity shall notify the Agency and inform the users about his intention at least 30 days before the date of close. (10) The person that accomplished the notification pursuant to the conditions set in sections (3) and (4) shall be authorised to provide only the type of networks and or/services indicated in the notification, having all the rights and obligations provided by law and laid down in the general authorisation conditions. (11) The electronic communications network provider shall have the right to use those networks for broadcasting or re-transmission of audio-visual programmes only after following the authorisation procedures, as provided by the audiovisual legislation. c) estimated date of activity launch. t) regulatory and monitoring fee. b) request the collocation of the necessary equipment. b) be designated for the provision of any universal service components on the entire territory of the country or in certain areas, under the law. (16) Electronic communications networks and/or service providers shall have the right of way under this Act. (18) The general authorisation shall be valid without any time restrictions, except for the cases established by this Act. Art. 24 - (1) The license for the use of radio frequencies or channels is the administrative act by means of which the Agency shall grant to the provider, authorised under Art. 23, the right to use one or more radio frequencies or channels for electronic communications service provision, observing specific technical parameters. It is not necessary to obtain a license for the radio frequencies and channels mentioned in section (4) of this article. The use of radio frequencies and channels shall be allowed only after a license has been obtained under conditions meant to ensure their efficient use. (2) When a license for the use of a radio frequency or channel is requested, the Agency shall have the right to verify the possibility of the user to comply with the conditions related to such rights. For this purpose, the applicant may be required to provide information to prove his capacity to observe those conditions. In case that information has not been provided, the application for the right to use radio frequencies and channels may be rejected. h) obligations implied from international agreements regarding the use of radio frequencies. (4) The Agency can establish certain categories of radio frequencies and channels, the use of which shall be allowed without a licence for radio frequencies and channel use, subject to the general authorisation regime as far as access and conditions of use are concerned, in case where this is possible from the technical standpoint, and in particular when the risk of harmful interference is reduced. The central sectoral authority shall establish the harmonised regime for their use, for every category of radio frequencies and channels, the use of which is allowed without obtaining a licence for radio frequencies and channel use, through a decision of the chief. The Agency shall include in the general authorisation, where appropriate, conditions of use for such radio frequencies and channels. (5) The number of licenses issued for radio frequencies and channel use shall not be limited, except for the cases where limitation is necessary for efficient use of limited resources or in order to avoid harmful interference of radio frequencies. b) giving all the interested parties, including the users, the opportunity to express opinions related to the limitation decision. (7) The Agency shall publish the decision on limiting the number of licenses for the use of radio frequencies and channels, providing the corresponding motivation. (8) The Agency shall launch the invitation to apply for licenses for the use of radio frequencies and channels in compliance to the established procedure. (9) The Agency shall analyse the decision to limit the number of licenses for the use of radio frequencies or channels on a yearly basis and as a result of a motivated request from an interested person, in order to find whether the limitation is justified. (10) In case the Agency considers that the new radio frequencies and channels meet the conditions necessary for license issuance, it shall inform the public about it and launch the invitation for application submission. Upon validity period expiry, the licenses can be renewed for similar periods, under the law. 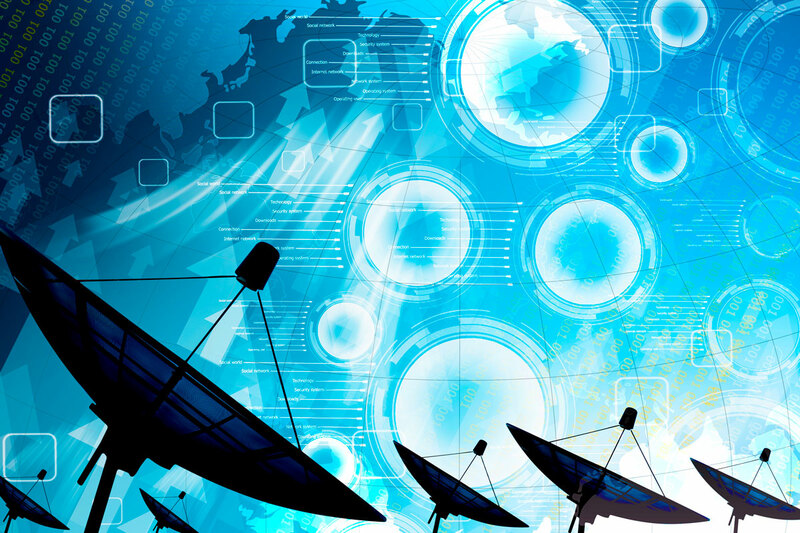 Licenses for the use of radio frequencies or channels for analogue terrestrial television can be renewed for a period not exceeding the date of transition to digital terrestrial television. (13) Where the number of licenses is limited, licenses for the use of radio frequencies or channels shall be issued to legal persons by means of a tender, organised and conducted according to objective, transparent, non-discriminatory and proportionate criteria, as established by the Agency, or by direct commitment, if the conferred right is a consecutive evolution for the network already in place and under authorised provision. (14) In order to obtain, by means of a tender, licenses for the use of radio frequencies or channels, where the number of such licenses is limited, the applicant shall submit an application with the attached business plan that shall include an abstract description of the networks and/or service, quality parameters and service provision conditions, the technical and financial capacity of the applicant to implement the proposed project and to meet the license conditions. (15) In order to obtain, by means of a tender, licenses for the use of radio frequencies or channels, where the number of such licenses is limited, the applicant shall, additionally to the documents mentioned in section (14), also provide other documents and information, as required by the Terms of Reference for organisation and holding the tender. (16) Licenses for the use of radio frequencies or channels for television or radio stations and/or networks shall be issued by the Agency based on the application submitted for that purpose, having the copy of broadcasting license or re-transmission authorisation attached. (17) The decisions regarding license issuance for the use of radio frequencies or channel shall be taken and made public as soon as possible after complete application has been submitted, but not later than after 6 weeks, except licenses issued as a result of a tender, by means of competitive or comparative selection, the term for which shall be 8 months maximum. Art. 25. – (1) The Agency shall issue licenses for the use of numbering resources based on an application justified in this respect, taking into account the nature of the service, the need for those resources, the market position of the requestor and the efficient use of numbering resources. (2) Decisions on license issuance for the use of numbering resources of exceptional economic value shall be taken as a result of public consultations. Those licenses shall be issued by means of a tender, based on open, transparent and non-discriminatory procedures. (3) Decisions on issuing licenses for the use of numbering resources shall be adopted and made publicly available as soon as possible after a duly completed application has been submitted, but not later than 3 weeks in the case of numbering resources assigned from the National Numbering Plan, an exception being licenses issued by means of a tender, by means of a competitive or comparative selection procedure, the term for which shall be 6 weeks maximum. b) licenses requested for a timeframe shorter than 10 years. (5) Upon validity expiry, licenses can be renewed for similar timeframes, under the law. Art. 26. - (1) The general authorisation and the procedure of license issuance for the use of channels, radio frequencies or numbering resources shall be subject to objectively justified, transparent, non-discriminatory and proportionate conditions. (2) The types of electronic communications networks and services, the conditions for their provision, the general authorisation and licensing procedure, the samples of license application, notification and informative declaration shall be established in the Regulation on General Authorisation Regime and License Issuance for the Use of Limited Resources for Electronic Communications Network and Service Provision, issued and approved by the Agency and published in the Official Gazette of the Republic of Moldova. (3) The general authorisation conditions shall not be doubled upon issuance of licenses for the use of channels, radio frequencies or numbering resources. (4) The special obligations, imposed on providers in terms of access and interconnection or universal service shall be legally separated from the rights and obligations given by the general authorisation, in which reference shall be made to the criteria and procedures of imposing such special obligations. Art.27. – (1) The registration in the Public Register of Electronic Communications Network and Service Providers, the issuance of licenses, the copies and duplicates, license updating and modification shall be free of charge. (2) Licenses for the use of radio frequencies or channels, the number of which is limited shall be issued for a fee, set by the Government, which goes to the state budget. (3) Fees and payments for the use of channels, radio frequencies or numbering resources, for installation of equipment in, on, over or under facilities of public of private property shall be consistent with the necessity of optimal use of such resources and shall be objectively justified, transparent, non-discriminatory and proportionate as regards the intended target, taking into account the objectives set in the electronic communications development policy. Art.28. – (1) The refusal to issue a license or to register the provider in the Public Register of Electronic Communications Network and Service Providers shall be well-grounded and can be appealed against in court within 6 months as of the date of the refusal. (2) The right to provide electronic communications services and/or networks of to use channels, radio frequencies or numbering resources shall be considered as granted or, as the case may be, renewed if the Agency does not reply to the applicant within the timeframe established by this Act. Art.29. – (1) The concession procedure of the rights and obligations of electronic communications networks and/or service providers shall be established by the Agency. b) the new holder shall undertake all the obligations prescribed by the license for the use of radio frequencies or channels for radio or television stations and/or networks or by the general authorisation. (3) When issuing licenses for the use of radio frequencies and channels, except the ones provided in section (2), or for numbering resources, the Agency shall specify whether such licenses can be conceded to a third party at the license holder’s request and establish the concession conditions. Art.30. – (1) In case the license holder or the person acting under the general authorisation regime has violated license, general authorisation conditions, provisions of law and/or other enactments in electronic communications, the Agency shall apply administrative sanctions under the law and shall issue a decision requiring that the violation be stopped and actions be taken in order to remedy its consequences. The license holder or the person acting under the general authorisation regime may appeal against such a decision. Pending the outcome of any such appeal, the decision of the national regulatory authority shall stand, unless the appeal body decides otherwise. (2) The Agency shall inform the public on the manner of payment of license fees for licenses authorising the use of radio frequencies or channels, where the number of such licenses is limited. (3) The Agency shall publish the information regarding the licenses already issued, the license issuance procedure by means of a tender and the statistical data related to licenses. Art.31. – (1) The right to provide electronic communications networks and/or services, granted by the general authorisation or the right to use channels, frequencies or numbering resources can be suspended, pursuant to the enactments in force, where the licence holder does not comply with the decision requiring remediation of violations against his obligations prescribed by enactments, the general authorisation or license, after the Agency has taken the legal actions of warning and fine. e) on the date a new license is issued to the license holder, replacing the old one. (4) The Agency shall suspend or withdraw the right to provide electronic communications networks and/or services or the right to use limited resources, with the subsequent appeal to court, within 3 working days. In case of non-compliance with this term suspension or withdrawal shall be cancelled. (5) Persons, whose right to provide electronic communications networks and/or services has been withdrawn, shall also have their licenses for the use of radio frequencies or channels or numbering resources withdrawn, for the corresponding service or network and shall not benefit from the general authorisation for the same type of network or service or from the license for the use of channels, radio frequencies and/or numbering resources, for a timeframe of 3 to 12 months from the withdrawal date. Art. 32. – (1) The radio frequency spectrum is a limited resource under State public property. (2) Regulation of radio frequency spectrum shall be an exclusive right of the State and shall be realised under the law, by taking certain economic, organizational and technical actions intended to ensure efficient use of the radio frequency spectrum for the needs of natural and legal persons, public administration authorities, national security, public order and to accelerate the implementation of new radio communications technologies. Art. 33. - (1) The National Frequency Assignment Chart shall be approved by the State Commission for Radio Frequencies. The composition and the regulation of the Commission shall be approved by the Government. c) shared use of a) and b). (2) The National Frequency Assignment Chart shall be revised at least once in 4 years. Art. 35. - (1) It shall be prohibited to use radio communications facilities, which are inconsistent with the broadcasting standards, technical parameters specified in the license for the use of radio frequencies and channels or in the technical permit or which cause perturbations in the operation of other radio communication stations. (2) The interconnection of electronic communications networks between national and foreign providers, in order to provide electronic communications networks and/or services using radio frequencies, shall be based on a contract between providers, on the license for the use of radio frequencies and channels and the technical permit, pursuant to the legislation in effect and international agreements to which Moldova is a party. (3) The right to use radio frequencies for electronic communications may be conceded among network and/or service providers, on condition that the concession does not distort competition, does not lead to a change of destination or usage conditions. The intention to concede the right of using radio frequencies shall be notified to the Agency, the concession being made pursuant to the procedures laid down by the Agency. e) minutes of technical measurements, drafted by the National Radio Frequency Centre. (2) Radio frequencies or channels for radio communications stations used for the State needs - national defence and security, public order, prevention and elimination of the emergency situations - shall be assigned by the appropriate State authorities. (3) Radio frequencies or channels for shared use shall be assigned on basis of an agreement between governmental and non-governmental users. The National Radio Frequency Centre shall negotiate on behalf of non-governmental users. (4) Radio channels and frequencies shall be assigned for a fixed term, which can be extended at the user’s request but shall not be his property. (5) In order to meet the state needs - national defence and security, public order, prevention and elimination of the emergency situations in cases of irremediable perturbations, the central sectoral authority shall have the right to modify radio frequency bands for non-governmental users, whereas subsequently the Agency shall modify the assigned radio frequencies or channels, informing the users about such modifications. (6) The nominal of the radio frequency or channel may be changed for a time interval, during which the source of a perturbation is being detected and remedied. (7) The payments for the frequency assigned to non-governmental users shall be made to the National Radio Frequency Centre. (8) In order to ensure electromagnetic compatibility of radio communications stations, the user shall conclude a contract with the National Radio Frequency Centre. d) the subject of the license for the use of radio frequencies and channels or the technical permit does not comply with the enactments or technical conditions. Art. 38. - (1) The technical permit may be suspended because of technical nonconformity, for a time interval necessary to remedy it, but no longer than a month. d) the user has failed to meet the deadline set remediation of the breach, which served as grounds for the suspension of the technical permit. (3) Upon expiry of license or technical permit validity, in case of their renewal, the term for assignation of radio frequency bands, radio channels or frequencies and for authorisation of the use of radio electronic broadcasting facilities may be extended upon the request of the user. Art. 39. - (1) The central sectoral body shall manage the radio frequency spectrum for non-governmental use. g) certify electronic communications products and services. (3) The manner of monitoring radio frequencies and evaluating technical broadcasting parameters for non-governmental use shall be set forth in the corresponding Regulations, developed and approved by the central sectoral body. The methodology of the tariffs, applied by the National Radio Frequency Center, shall be approved by the central sectoral body and published in the Official Gazette of the Republic of Moldova. Art. 40. - (1) This chapter shall provide for the regulatory framework of the relations between network providers, between service providers and between network and service providers, in terms of access to public electronic communications networks and associated facilities, as well a their interconnection. (2) This chapter shall stipulate the providers’ rights and obligations regarding interconnection or access to the networks they provide or to the associated facilities. (3) The purpose of the regulatory framework, laid down in this chapter, shall serve to promote competition, ensure interconnection and interoperability of services and to protect users. (4) The provisions of this chapter shall not be applied to the access by final users. (5) The procedure of access to public electronic communications services and/or networks and associated infrastructure and network interconnection shall be laid down in the Regulations on Interconnection, elaborated and approved by the Agency and published in the Official Gazette of the Republic of Molodva. b) have the obligation, when requested by another authorized provider, under the law, to negotiate, pursuant to the terms and conditions imposed by the Agency, an interconnection agreement with the concerned applicant, in order to provide public electronic communications services, including electronic communications services accessible to users through another public communications network interconnected with the network of either of the parties. (2) The information acquired before, during or after the end of the negotiations regarding access or interconnection agreements shall be used solely for the purpose it was supplied and shall not be disclosed to any third party that could thus obtain a competitive advantage, including to other subsidiaries, affiliates or partners of the service or network provider holding such information. Art. 42. - (1) The Agency shall take all the necessary actions to encourage and ensure, under this Act, the access and interconnection under appropriate conditions, observing the principles of economic efficiency, competition promotion and maximum benefit for end-users. b) imposing obligations on providers to ensure the access to elements of associated facilities under fair and reasonable conditions, provided that this imposition is necessary to ensure the access of end-users to digital audiovisual broadcasting services. (3) By imposing obligations on a provider to provide access, according to Article 47, the Agency shall lay down feasible technical and operational conditions, in accordance with national or European standards, to be fulfilled by the provider or beneficiaries of the access, provided that such an action is necessary for ensuring proper operation of the network. (4) The obligations and conditions imposed pursuant to sections (1)-(3) shall be objective, transparent, non-discriminatory and proportionate . (5) The Agency shall have the right to establish, when requested by one of the parties, pursuant to the provisions of sections (1) and (4), the conditions for access and interconnection in the absence of an agreement between the parties. (6) The Agency shall have the right to intervene at all times, on its own initiative or requested by any of the parties, involved in negotiations and over an interconnection or access agreement, in order to provide assistance and facilitate the negotiation of the concerned agreement. - to supply all information, serving as basis for establishing and adjusting tariffs. (2) The obligations listed in section (1) shall be, depending on the specific of the problem identified, proportionate and justified, and imposed only after due consultations with the interested parties, according to the law. (3) Where, as a result of a market analysis conducted under the law, the Agency determines that there is efficient competition on a relevant market, it shall accordingly withdraw or amend the imposed obligations. In conducting market analysis, the Agency, case by case, shall request collaboration with the competition authority . (4) The Agency, at least 30 days before withdrawing any obligations imposed on a provider, shall notify the intention to the persons-parties to interconnection and access agreements with the given provider, in order to allow them to find alternative providers or renegotiate the agreements already signed. Art. 44. - (1) The Agency shall impose on providers with significant market power obligations to ensure transparency in relation to interconnection of networks or access to such networks or to the associated facilities. These obligations shall include notifying specified information to the public: technical specifications, network characteristics, conditions of supply and use, accounting information and tariffs applied, provided that such information is not confidential. (2) If an provider has been put under the obligation to admit no discrimination, the Agency shall make it incumbent on him to publish a reference offer, which shall be sufficiently detailed, to be sure that the applicants will not have to pay for the resources which are not necessary for the service requested. The Agency shall have the right to impose modifications to the reference interconnection offer. (3) The reference offer shall include a detailed description of every element of the network or associated facilities, according to market needs, technical and commercial conditions, information on technical specifications, network characteristics, conditions of provision and use, accounting information and tariffs applied in to every such element. (4) The Agency shall establish what information shall be made public, the level of detail required and manner of publication, except where the information is confidential. b) provide services and information to third parties under the same conditions, including quality and price, as they provide for their own services or the services provided to subsidiaries, affiliated persons or their partners. Art.46. - (1) The Agency shall impose on providers with significant market power on a relevant market obligations to keep separate accounting, within their internal accounting system, for specific activities related to interconnection and/or access to electronic communications networks and/or associated facilities. (2) The Agency shall have the right to impose on a vertically integrated provider the obligation to ensure transparency related to wholesale tariffs and internal transfer prices, in order to fulfil the obligations of non-discrimination, imposed pursuant to art. 45, or to prevent abusive cross subsidisation. (3) In order to meet the obligations of transparency and non-discrimination, the Agency shall make it incumbent on SMP providers with significant market power on a relevant market to supply, upon request, accounting records, including data on revenues collected from third parties. (4) In order to promote an open and competitive market, the Agency shall publish the received accounting information under the law, having regard to confidential information. Art. 47. - (1) The Agency shall impose on providers with significant market power on a relevant market the obligation to allow access and use of some specific elements of the network and associated facilities, in particular where it is considered that denial to provide access or unreasonable terms and conditions with similar effects would create impediments in the development of a competitive and sustainable retail market or would prejudice the interests of end-users. g) interconnection of networks or their elements. f) ensuring security of networks, services and personnel. Art. 48. - (1) Where the market analysis indicates lack of effective competition, which means that the provider concerned is able to keep tariffs at an excessively high level or apply price squeeze to the detriment of end-users, the Agency shall have the right, pursuant to Art. 43, to put him under obligations to recover investments and keep control on tariffs, including obligations concerning cost-orientation of the tariffs, as well as obligations to keep separate accounting, when providing specific forms of access or interconnection. When imposing such obligations, the Agency shall take into consideration the investment made by the provider and allow a reasonable rate of return on the invested capital, taking into account the risks involved. (2) Any costs covering mechanisms or pricing methodology, imposed under section (1), shall promote economic efficiency and competition and maximize consumer benefits. In this regard the Agency shall take into account the tariffs applied on comparable competitive markets. (3) If an provider has an obligation on cost orientation of tariffs, he shall prove that the tariffs derive from costs and comprise a reasonable rate of return on investment. For the purpose of calculating the cost of efficient service provision, the Agency may use cost accounting methods, under the law, other than those used by the provider. The Agency shall have the right to require that the provider offer all the information that served as grounds for tariff calculation and, if necessary, to impose tariff adjustment. (4) Where tariffs are controlled by imposing the implementation of a separate costs accounting system, the description of this system shall be made public, showing at least the main categories under which costs are grouped and the rules used for costs allocation. Compliance with the obligation of applying separate cost accounting systems shall be verified annually by an independent auditor, the results of which shall be published under the conditions set by the Agency. Art. 49. - (1) The Agency shall impose on a provider with significant market power on the local loop market an obligation publish a reference offer for the access to the local loop. (2) The reference offer provided for in section (1), shall be drawn up in compliance with the Regulations on Interconnection, approved by the Agency. (3) The reference offer prescribed in section (1), shall pursue the provisions of art. 44 (2)-(4). Art. 50. – The obligations imposed on a provider designated as having significant market power on a relevant market shall be in force until the Agency, as a result of a market analysis, determines that the given relevant market is effectively competitive. b) the criteria and rules, serving as grounds for the Agency in conducting the analysis of the identified relevant markets and determining whether one or more providers of electronic communications networks and/or service providers have significant market power on a particular market. (2) The Agency shall identify relevant markets taking into account specific national conditions and ensuring a competitive environment on those markets. The list of relevant markets shall be published by the Agency. (3) When drafting the Regulations, identifying relevant markets and conducting analysis of market situation, the Agency shall consult, where appropriate, with the competition authority. Art. 52. - (1) The Agency shall make decisions regarding designation of providers with significant market power on relevant markets. A provider shall be considered to have significant market power on a particular relevant market, only if the corresponding market analysis shows his market share is equal or higher than 35%, and if, as a result of that analysis, the Agency finds that particular market is not effectively competitive. (2) A provider shall not be considered to have significant market power on a relevant market, if he holds less than 35% market share and if, as a result of market analysis, the Agency finds that particular market is effectively competitive. (3) The Agency shall publish and present to the competition authority the decision regarding designation of providers with significant market power on relevant markets within 3 days from the date it was adopted. The competition authority, within 10 days, shall enlist the providers with significant market power on relevant markets in the List of economic entities with dominant position on relevant markets in electronic communications and publish the List in the Official Gazette of the Republic of Moldova. Upon expiry of the term for inclusion in the given List, the Agency shall have the right to adopt decisions on imposing special obligations on providers designated as having significant market power on the relevant market. Art. 53. – (1) The Agency shall make the analysis of relevant markets at least once in two years with the purpose to find whether those relevant markets are effectively competitive. The finding that a relevant market is effectively competitive shall be equivalent with the finding that none of the providers, active on the given market, has significant market power. The Agency shall determine the existence of effective competition relying on the analysis of the relevant market, made in accordance with the Regulations, having consulted the competition authority . As a result of such an analysis, the Agency shall have the right to impose, maintain, amend or revoke obligations with respect to providers of electronic communications networks and/or services. (2) If it is concluded, as a result of market analysis, that a specific relevant market is effectively competitive, the Agency shall not impose or maintain any specific regulatory obligations, or shall withdraw them, in case they already exist. At least 30 days before withdrawal of any obligations, imposed on an electronic communications network or service provider the Agency shall notify this intention to all the persons that can be affected by this measure, to allow them to adapt to the new conditions. (3) If it is determined, as a result of market analysis, that a relevant market is not effectively competitive, the Agency, in compliance with the Regulations, shall identify the electronic communications network and/or service providers that, according to art. 52, have significant market power on this particular market.. In this case, the Agency shall be entitled to impose on such providers one or more obligations mentioned in this Act. (4) The measures provided for in sections (2) and (3) of this article shall be applied under the conditions stipulated in art. 14 sections 1)-4). (5) The Agency shall make publicly available the list of electronic communications network and service providers. d) unreasonable bundling of services. (2) The obligations imposed according to section 1) of this article shall be based on the nature of the problem identified and be proportionate and justified with regard to the objectives set in art. 8.
c) establish measures to cost-orient tariffs or apply tariffs as practiced on comparable markets. (4) The Agency shall impose on networks and/or service providers with significant market power, whose tariffs are subject to control by the Agency, the obligation to implement a separate costs accounting system, necessary to exert control. The Agency shall establish the format and methodology of the separate costs accounting system, according to enactments in force. (5) The network and/or service providers specified in section (4) shall subject the manner of implementation of the separate cost accounting system to verification by an independent auditor, under the conditions established by the Agency. (6) Every year the network and/or service providers mentioned in section (4) shall publish, under the conditions established by the Agency, a statement regarding the implementation of the separate cost accounting system. b) structurally separate the activities related to the provision of electronic communications networks and/or services and the activities in other national economy sectors. Art. 56. - (1) The Agency shall establish and update, to the extent of technical possibilities, the minimum set of leased lines to be provided, in order to meet the users’ needs, including the technical characteristics of the types of leased lines included in this set. The Agency shall publish the minimum set of leased lines, the technical characteristics and types of standard, to which the lines must correspond. (2) If, as a result of market analysis, made in compliance with the Regulations, it is determined that part or the entire market for the provision of the minimum set of leased lines is not effectively competitive, the Agency shall identify the providers of networks and services with significant power on this particular market and shall impose obligations regarding provision of the entire or part of the minimum set of leased lines on a part or on the entire territory of the country, under conditions of non-discrimination, cost-oriented tariffs and transparency, according to sections (4)-(6). (3) If it is determined that the market for the provision of a part of the whole minimum set of leased lines is sufficiently competitive, the Agency shall revoke the obligations imposed. (4) The Agency shall require that providers of networks and services, designated as having significant market power, pursuant to section (2), apply similar conditions in similar circumstances to providers of similar networks and services and provide leased lines to third parties under the same conditions and of the same quality as those used for provision of own services or services of subsidiaries’, affiliated persons or partners. (5) The Agency shall impose on providers of networks and services, designated as having significant market power, pursuant to section (2) the obligation to apply cost-oriented tariffs for leased lines, and to implement, for this purpose, a separate costs accounting system. Such service providers shall submit, upon the Agency’s request, detailed information regarding the accounting system applied. (6) The Agency shall impose providers of networks and services, designated as having significant market power, pursuant to section (2), the obligation to publish, in an accessible form, the information regarding the conditions for leased lines provision. (7) If an provider of networks and services, designated as having significant market power, pursuant to section (2), concludes that provision of leased lines from the minimum set as stipulated in section (1), at the tariffs and under the conditions published, according to sections (5) and (6) is not reasonable, he may request the Agency to change tariffs or conditions for provision. b) by pre-selection, offering the possibility to obtain services from a selected provider without having to dial, on every call, a provider selection code. (2) Users’ request to also implement the facilities provided for in section (1) in other networks or in other ways shall be examined by the Agency on the basis of a market analysis, made in compliance with the provisions of this Act, whereas the obligations necessary in order to meet this requirement shall be imposed pursuant to art. 47. (3) The Agency shall ensure, by imposing specific obligations, cost-oriented tariffs for access and interconnection related to the provision of the facilities stipulated in section (1). g) methods of initiating procedures to settle litigations. (2) The service provider shall inform the end-user subscriber in written form, about modifications of contract, at least one month before they come into force, as well as about the user’s right to withdraw from the contract without penalty, in case he does not accept the new conditions, except where the new conditions are more favourable for the user. (3) If the end-user subscriber has been notified about modifications of contract, proposed by the provider and he does not accept the new conditions, he shall have the right to withdraw from the written contract without penalty. Art. 59. - (1) In order to offer the final users the right to make informed choice of services, providers of public electronic communications networks and services shall make publicly available updated information regarding applicable prices and tariffs, as well as other conditions applied. g) case by case, the rights as regards universal service provision. (3) The Agency shall encourage the provision of information on web-pages, in interactive guides, or by other means, in order to enable end-users to make an independent evaluation of the cost of alternative usage patterns. Art. 60. - (1) The Agency shall impose on providers of public electronic communications services, after undergoing the consultation procedure as provided in art. 14, the obligation to publish adequate and updated information as regards quality of services offered. Upon request, such information shall be presented to the Agency before publication. (2) The Agency shall specify, pursuant to European and international standards and recommendations, parameters of service quality to be measured, as well as the contents, form and manner in which the information, required according to section (1), shall be published, in order to ensure that the end-users benefit from complete, accessible and user-friendly information. Art. 61. - (1) Providers of public electronic communications networks and public telephone services shall take all necessary actions to ensure integrity of those networks at fixed locations and, in case of serious network breakdown or force majeure, by common consent with authorised bodies, shall ensure repairation and functioning of networks at fixed locations, as determined by public authorities. (2) Providers of public telephone services shall take all reasonable actions to ensure uninterrupted access to emergency services. Art. 62. - (1) All subscribers to public telephone services shall have the right to be included into the directory of subscribers, available as part of universal service. (2) Providers of public telephone services shall offer their subscribers, free of charge, the possibility to decide whether and which of their personal data will or will not be included in the publicly available directory. (3) All end-users of public telephone services can access directory enquiry services, as part of universal service, and customer relations services. (4) The telephone numbers of subscribers to public telephone services may be presented by the providers of electronic communications service, upon request, to a competent State entity, in order to be included in the State data base (State Register of Population and Register of Legal Units) and be used, having regard to the legislation on personal data protection. Art.63. - (1) Numbering resources, assigned to public electronic communications networks and services, are limited resources, public state property. (2) Numbering resources, assigned to public electronic communications networks and services, shall be managed by the Agency pursuant to the National Numbering Plan and the recommendations of international organizations, to which the Republic of Moldova is a party, and shall be assigned for a fee, according to tariffs set and approved by the Agency. (3) The National Numbering Plan shall be drafted by the Agency, in compliance with the recommendations of international organizations, to which the Republic of Moldova is a party and shall be approved by the central sectoral authority. (4) The Agency shall manage numbering resources pursuing the principles of objectivity, proportionality, transparency and non-discriminatory access to these resources and ensure equal treatment of all providers of public electronic communications networks and services. (5) The use of numbering resources from the National Numbering Plan without authorization by the Agency shall be prohibited and shall be sanctioned pursuant to the law. (6) The procedure of administration and management of numbering resources shall be established in the regulatory acts drafted and approved by the Agency and published in the Official Gazette of the Republic of Moldova. (7) The requirements of the regulatory acts as regards the use of numbering resources shall be binding upon all providers of electronic communications networks and services from the Republic of Moldova. Art. 64. – (1) Providers of public telephone networks and services shall ensure the possibility to make emergency phone calls, free of charge, whereas end-users of public telephone services, including users of public pay-phones shall have the right to access emergency services free of charge, by dialling the single emergency number “112” or other national emergency numbers, set by the Agency according to the National Numbering Plan. (2) For all emergency calls, established in compliance with section (1), providers of public telephone networks and services shall provide the authorities handling emergency services, upon their request and within the ambit of networks technical possibilities, with information about the call location. (3) The Agency and the providers of public telephone networks and services shall undertake all the necessary actions to inform the public about emergency numbers and the way of using the single emergency number “112” or other national emergency numbers. (4) The single emergency number “112” shall be implemented pursuant to the National Program for Implementation of the Single Emergency Number “112”, approved by the central sectoral body. (2) The provisions of section (1) shall not be applied to the porting of numbers between fixed and mobile telephone networks. (3) The Agency shall establish obligations regarding cost orientation of tariffs for interconnection, necessary for the provision of number portability, so that the charges imposed to subscribers do not discourage them from using this facility. (4) The Agency shall impose on providers of public telephone services the obligation to make public detailed information on tariffs applied for number portability. (5) The Agency shall not impose retail tariffs for number portability, so as not to restrict competition. (6) Number portability in fixed and mobile public networks shall be implemented in compliance with the Program for Implementation of Number Portability in the Republic of Moldova, drafted by the Agency and approved by central sectoral authority. Art. 66. - (1) The right of access to universal service shall be the right of all the residents of the Republic of Moldova to benefit from the minimum set of services at a specified quality and affordable prices, independently of geographical location. c) access to public pay-phones, including free access to emergency services. (3) The actions, responsibilities and timeframes for the implementation of the universal service shall be laid down in the long-term National Program for Universal Service Implementation, drafted by the central sectoral authority, taking as a basis the provisions, governing the implementation of universal service, which are prescribed in the policy and strategy of electronic communications development, taking into account the prevailing technologies used by the end-users and technological feasibility, and approved by the Government. (4) The conditions and procedure of universal service provision, of designating universal service providers and the mechanism of financing and compensating the net cost of universal service provision shall be laid down in the Regulations on Universal Service, drafted and approved by the Agency and published in the Official Gazette of the Republic of Moldova. Art. 67. - (1) The Agency shall designate by means of a tender one or more universal service providers to provide one or more universal service elements, in certain areas or on the entire territory of the Republic of Moldova, using efficient, objective, transparent and non-discriminatory procedures. Such established procedures shall ensure efficient provision of universal service and shall be used as methods of determining the net cost of universal service provision, according to art. 75. (2) In the absence of bidders, the Government, at the proposal of the Agency, shall designate universal service providers, taking into account the principles of efficiency, objectivity, transparency and non-discrimination. (3) If the Agency finds that the provision of universal service is an unfair burden for the designated universal service providers, the universal service obligations shall be imposed on a provider only after a mechanism has been introduced to finance and/or compensate the net cost of universal service provision, according to art. 76. Art. 68. - (1) The Agency shall designate universal service providers pursuant to art. 66, section (2), sub-section a), so that all reasonable requests of the end-users for access and connection at a fixed location to public telephone networks and for access at a fixed location to public telephone services to be met by at least one provider of electronic communications networks or service. (2) The connection provided should give the end-users the possibility to make and receive local, national and international telephone calls, facsimile communications and data communications, at data rates that are sufficient to allow functional Internet access, taking into account prevailing technologies used by the majority of subscribers and technological feasibility. a) at least one directory of subscribers shall be available to end-users, upon request, in printed, electronic form or both. The Directory of subscribers shall be updated periodically, at least every three years, its form being in advance approved by the Agency. b) at least one directory enquiry service shall be available to end-users, including users of public pay phones. (2) The directory of subscribers and the directory enquiry service, as provided in section (1), shall include telephone numbers and personal data of all subscribers to public telephone services, having regard to the legislation on personal data protection. (3) Universal service providers designated to make available directories or directory enquiry services to end-users, under the conditions of sections (1)-(2), shall apply the principle of non-discrimination in handling the data made available by public telephone service providers. Art. 70 - (1) The Agency shall impose on universal service providers, designated to provide the services stipulated in art. 66 section(2) sub-section c), obligations to provide public pay phones in order to meet the reasonable needs of end-users in terms of geographical coverage, number of telephones installed in relation to population density, accessibility of telephones to disabled users and quality of service. (2) The Agency shall not to impose the obligations stipulated in section (1) on the entire territory of the country or part of it, if it is considered that the services laid down in section (1) or other comparable services are widely available. (3) Universal service providers operating public pay-phones shall offer the end-users the possibility to make emergency calls from public pay-phones, all free of charge and without having to use any means of payment, using the single European emergency call number „112” or other national emergency numbers pursuant to the National Numbering Plan. Art. 71 – The Agency shall make it incumbent upon designated universal service providers to take specific actions to ensure the access of disabled end-users to public pay-phones, including the access to emergency services, directory enquiry services, equivalent to those offered to other end-users. Art. 72 - (1) The Agency shall monitor the evolution and the level of retail tariffs for end-users for the services - part of the minimum set of universal service, having regard to the general level of prices and income of users. b) comply with price caps, or apply single tariffs, including by averaging per geographical areas on the entire territory of the country, as well as other similar schemes, taking into consideration specific conditions. (3) The Government shall identify the categories of citizens with low incomes or with special social needs, who shall benefit from universal service and tariff options or packages specified in section (2). (4) The conditions under which end-users benefit from the tariff options stipulated in section (2), shall be transparent and made publicly available. The tariffs must be applied by the universal service providers under this obligation in a non-discriminatory way. The Agency may require modification or withdrawal of special tariff schemes. Art. 73 - (1) Universal service providers shall not oblige their subscribers to pay for services and/or facilities additional to those identified as part of universal service, which they are to provide pursuant to art. 68-72, unless those additional services are necessary for the provision of services and/or facilities identified as part of universal service. d) phased payment of tariffs for connection to the fixed public telephone network. (3) Subscribers shall have the right to obtain information additional to that specified in section (2) sub-section a), free of charge or at a reasonable tariff. Free of charge calls, made by the calling subscriber, including emergency calls shall not be included in the itemized bill. Art. 74 - (1) The Agency shall lay down quality parameters for the provision of services included in the universal service and the methods of verifying compliance with service quality targets. The Agency shall set additional service quality parameters for the provision of services included in the universal service to disabled users. Such parameters shall be established having regard to national standards. (2) Universal service providers shall present to the Agency and publish adequate and updated information regarding compliance with quality parameters of services identified as part of universal service. (3) The Agency shall specify form and manner in which the information required according to section (2) shall be presented and published, in order to ensure that end-users benefit from comprehensive, comparable and user-friendly information. (4) The Agency shall make it incumbent on universal service providers to meet specified performance targets in terms of quality of service. In setting such performance targets, the Agency shall comply with the consultation procedure laid down in art. 14. (5) In order to ensure the exactness and comparability of data submitted by universal service providers, the Agency shall require verification of such data by an independent body, but not more frequently than once a year. b) by using the net cost of providing universal service identified as a result of designation procedure. (2) The net cost of universal service provision shall be calculated as the difference between the net cost incurred by the designated universal service provider operating with the universal service obligations and the net cost of operating without such obligations. (3) The accounting and other information serving as the basis for the calculation of the net cost of universal service obligations, pursuant to section (1) sub-section a) shall be audited and verified by the Agency or by an independent auditor, approved by the Agency. The results of cost calculations shall be made publicly available. (4) The net costs of universal service obligations shall be compensated to the universal service provider, in the case when universal service can only be provided at a loss or at a cost beyond normal commercial standards. (5) The calculation of the net cost of specific aspects of universal service obligations shall be made separately, so as to avoid the double counting of any direct or indirect benefits and costs. The overall net cost of universal service obligations of any undertaking shall be calculated as the sum of the net costs of all components of the universal service obligation, taking into account any intangible benefits. The responsibility to verify net cost shall lie on the Agency. Art. 76. - (1) Where, on the basis of the net cost calculation referred to in Article 75, the Agency finds that designated universal service provider is subject to an unfair burden, the Agency shall decide, upon the universal service provider’s request, to finance and/or compensate the determined net cost. (2) A universal service fund shall be created, in order to finance and/or compensate the net costs incurred in providing universal service, and managed by the Agency . (3) The universal service fund shall consist of obligatory contributions made by electronic communications network and/or service providers and of other resources allowed by legislation. The fund resources shall be used exclusively for compensation of net costs of universal service obligations. (4) Electronic communications network and service providers shall make obligatory contributions, not higher than 1,0 % of the annual volume of revenues generated by provision of electronic communications and/or networks. Every year, before November 1st, the Government shall approve and publish the amount of obligatory contributions to be paid the following year. The amount to be paid into the universal service fund shall be established in compliance with the assignments stipulated in the National Program for the Implementation of Universal Service, and the net costs of universal service obligations, determined by the Agency. The providers of electronic communications networks and services with revenues lower than the one established by the Agency may be exonerated from the obligation to contribute to the universal service fund. (5) The Agency shall establish the manner of financing and/or compensating the net cost of universal service obligations, as well as the procedures and terms for contributions to universal service fund, having regard to the principles of transparency, minimum impact to competition, proportionality and non-discrimination. The Government shall make publicly available the mechanism of financing and/or compensating the determined net cost. (6) Where a universal service fund is applied, the Agency shall publish an annual report in the Official Gazette of the Republic of Moldova, as regards the calculated net cost of universal service provision, contributions made by providers of electronic communications networks and services, as well as commercial advantages achieved by the universal service provider in providing it. (7) A transparent and neutral mechanism of collecting contributions shall be applied when financing and/or compensating for the net cost of universal service obligations, in order to avoid double imposition of cash inputs and outputs to providers. Art. 77. - (1) Legal and natural persons violating the provisions of this Act shall bear administrative, financial or criminal responsibility, pursuant to the legislation, as the case may be. m) discrimination when providing public electronic communications services. Art.78. - (1) This Act shall come into force on the date it is published, except for Chapter IV, which shall come into force after 6 months as of the Act publication date, and the provision of Art. 20 section (3) sub-section c), which shall come into force on January 1, 2010. (2) The Law on Telecommunications no. 520-XIII of July 7, 1995 shall be repealed on the date this Act comes into force, except for the provisions on licensing telecommunications and informatics activities, which shall be repealed 6 months after the publication date of this Act. (3) The clauses of Art. 8 section (1) sub-section 43)-46) and Art. 18 section (6) of the Law no. 451-XV of June 30, 2001 on licensing certain types of activities shall be repealed 6 months after the publication date of this Act. (4) Licenses for the types of activities set forth in Law no. 451-XV of July 30, 2001 on licensing certain types of activities, technical licenses and decisions on numbering resource assignment, issued on basis of Law on Telecommunications no. 520-XIII of July 7, 1995 shall be valid till their expiry date, whereas their holders shall comply with the provisions of this Act. (5) Before relevant market analysis is made, the Agency shall consider as providers of electronic networks and/or services with significant market power on a relevant market the economic entities designated by the competition authority as having dominant position of that particular telecommunications and informatics market, with the view of imposing the obligations provided for by this Act. (6) After the general authorisation regime comes into force, the license holders with obligations to the state budget in terms of tax payment or license fees shall pay them according to conditions in force at the date the licenses were issued. (7) After the general authorisation regime comes into force, the radio channels and frequencies and numbering resources assigned before this Act comes into force, including those assigned according to license conditions, shall be considered valid till the expiry date of their assignment. (8) After the general authorisation regime comes into force, the technical licenses issued on basis of Law on Telecommunications no. 520-XII of July 7, 1995 can be conceded to third parties pursuant to Art. 29 section (2) of this Act. (9) On the date this Act comes into force, the National Regulatory Agency for telecommunications and Informatics shall be re-organised into the National Regulatory Agency for Electronic Communications and Information Technology (ANRCETI). (10) Within a period of 6 months as of the date this Act comes into force, the enterprise State Communications Inspection shall be re-organised into National Radio Frequency Center, a financially autonomous enterprise. b) bring its enactments into line with this Act.